By the time this article posts, my mother and stepfather should be happily on their way, aboard a seven-day Carnival cruise through the warm, tropical waters of the Caribbean Sea…first to Cozumel, Mexico…then to Belize City, Belize.. .on to Roatan Island, Honduras…and finally to Grand Cayman Island. With Arctic temperatures currently deep-freezing this entire region of the country, the timing of their winter escape could not be better. Hard to believe that not even 48 hours earlier, because of an infection recently diagnosed in my mom’s leg, they came very close to cancelling this vacation. While it’s never a good time to get sick — and your first concern is to heal and be healthy — illness can become costly if it interferes with vacation plans. Should you need to make last-minute changes, you may be liable for cancellation penalties and fees, or you simply may lose out on being refunded any deposit you’ve already made on the trip. It’s a good thing my folks had the forethought to guarantee their cruise vacation by purchasing travel insurance — coverage that, in the event of illness or family emergency, would enable them to reschedule their trip without added fees or penalties. Even though they ended up not having to use it, just knowing that they had the coverage made my mom’s diagnosis and their situation that much easier to deal with. The two major cruise lines that sail from Baltimore, Royal Caribbean and Carnival Pride, offer travel insurance options at an additional cost when booking their trips. 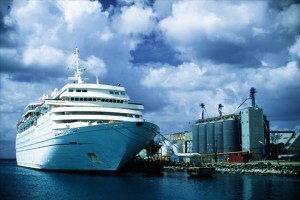 While both cruise companies’ plans offer medical expense and emergency evacuation coverage as well as protection against property damage and loss of baggage, the basic coverage waives the non-refundable cancellation provision of the cruise ticket contract, enabling travelers to get a full cash refund of up to the entire cruise vacation cost. In addition, refunds are provided for the difference in cost in the event your traveling companion may have to cancel his/her trip for any of the above reasons, resulting in a change of occupancy rate. Carnival’s Cruise Vacation Protection plan is similar to what Royal Caribbean’s CruiseCare program offers. But that said, the restrictions that apply to both plans are similar as well. Rates for travel insurance can vary according to the total cost of your cruise package as well as how much coverage you wish to purchase. In my family’s case, my mom and stepdad purchased their trip insurance for $118 through the travel agent who booked their cruise. She also maintains that the $118 was money well spent. “We were not stressed in the least, because we knew, no matter what, we would not lose our trip,” reflects my mom. Of course, the very best news for her and my stepdad was to finally get the go-ahead from her doctor to travel, just 48 hours before my folks were scheduled to leave on a welcomed winter respite for them both. Also, read Cruise Critic’s complete article online. Starting her career in Chicago in the 1980s, Dianne McCann has spent much of her 25-plus years in publishing on the editorial staff of a variety of magazines, from covering telecommunications to graduate-level mathematics. Her most recent position was editor of the local parenting magazine, Baltimore's Child, a stint lasting nearly 12 years. During this time, the magazine was honored with a Best of Baltimore award from Baltimore magazine in 2010. Since leaving Baltimore's Child in 2012, Dianne has focused on working independently, building her base of freelance editing and writing work, all with an eye toward covering one of her favorite topics -- travel. This past year, while writing for the Examiner.com, Dianne focused on eco-tourism in the Baltimore area. It is now with great pleasure she writes for the Baltimore Post-Examiner -- a weekly blog covering cruises and travel...helpful, practical information to hopefully nurture the wanderlust in each of us...Having raised two children who are now on journeys of their own, Dianne currently lives in Towson with her dog Monty, a charming, shaggy bulldog mix. Contact the author. The big reason for insurance is if you become seriously injured or ill on the trip and need a medical evacuation. That is very expensive, much more costly than the comparatively minor costs of the trip itself. However, if you are one of the lucky ones who have coverage for such a medical evacuation through your health insurance, then you have a decision to make about whether trip insurance is worth it. If you have medical issues, or close relatives with medical issues that might cause you to have to cancel your cruise, or some other situation that makes you a high risk of cancellation, then it’s probably worth it. But if not, then look at it this way: If the insurance costs, say, 10% of the cost of my trip, am I likely to cancel more than 1 in 10 of my vacations? If you had to cancel one of the 15 trips you took, and lost the entire cost that time, you’d still come out ahead overall compared to paying 10% for insurance each trip. But, like I say, unless you have medical coverage, and medical evacuation coverage, overseas, you definitely want trip insurance.